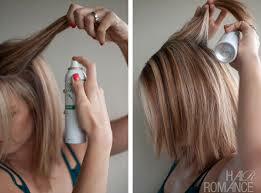 Beauty Care Choices: Dry Shampoo tricks! Today's dry shampoos are becoming so popular, nearly every professional hair care brand now has the product in their line. Why? Dry shampoo is a great way to save time on days when you’re in a hurry--and it gives your hair a break from all those color-stripping products and damaging heat. Today's products are kind to your hair, many including conditioning ingredients. They work by absorbing the excess oils and residual from other styling products. But, using dry shampoo isn't just spray and brush. Try these three tips for terrific results! Use dry shampoo on clean hair, too. It’s a foolproof way to create volume and texture--ideal for updos or braids. So give dry shampoo a try on your next "I overslept" or hectic morning! Click here to see all your choices in professional dry shampoos!